Here are five ways installing one of these devices can save you money or even help generate revenue. How many times a week does your local sanitation company visit your plant to haul away trash? How much does each visit cost? By using a commercial trash compactor, you can reduce the volume of your trash and therefore the frequency of your garbage pickups. Trash that’s compacted is easier to manage. It won’t spill during handling or storage, allowing you to control the movement of waste on your property, prevent pests from showing up to feast on your garbage and keep odors away. All of this not only keeps your employees healthier and safer – thus lowering medical costs – it also helps improve your company’s image. People will drive by and see a clean, well-maintained facility and you’ll never have to worry about neighbors complaining that your trash wound up on their property. 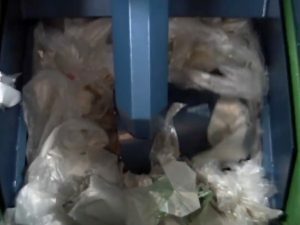 When you use a commercial trash compactor, you’re helping reduce space in landfills. And when you’re known as a green business, you’ll improve your reputation among consumers, who respond well to companies that invest in eco-friendly practices. A better reputation can often lead to an increase in revenue as potential clients want to be in business with a company that cares about their environmental impact. How many times a day do you or your employees have to trek to the dumpsters just to deposit small loads of trash? If you could find a way to reduce the amount of time your team spends collecting and depositing garbage, you could have more resources at your disposal. Rather than worrying about high labor costs, using a commercial trash compactor can help you save time so your employees can be productive in other aspects of their job. Look at the back of your property. How many dumpsters do you see? What could you accomplish if you got rid of some of them? At the very least, you might gain a few parking spaces, or give yourself more room in your production area. 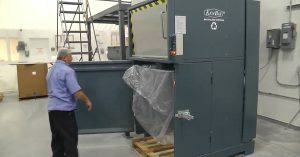 You’ll be able to answer that question for certain when you invest in a new commercial trash compactor. By compacting trash into more manageable packages, you won’t have a need for as many dumpsters or other trash containers. 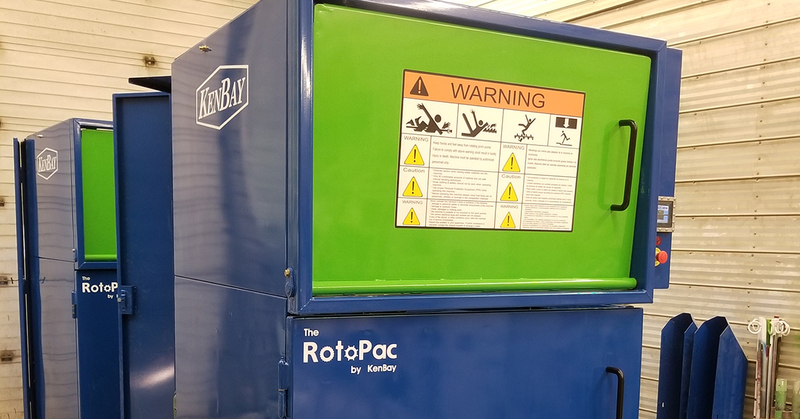 KenBay’s commercial trash compactor models have been the premiere choice among waste compaction options for several years. Whether you need a commercial garbage compactor that can handle hazardous waste or one designed for the strict standards of the food industry, we have a solution for you. Contact us today to find out how our products can help your facility save money.